It's the whimsical game of luck and quick decisions where everyone plays at once! 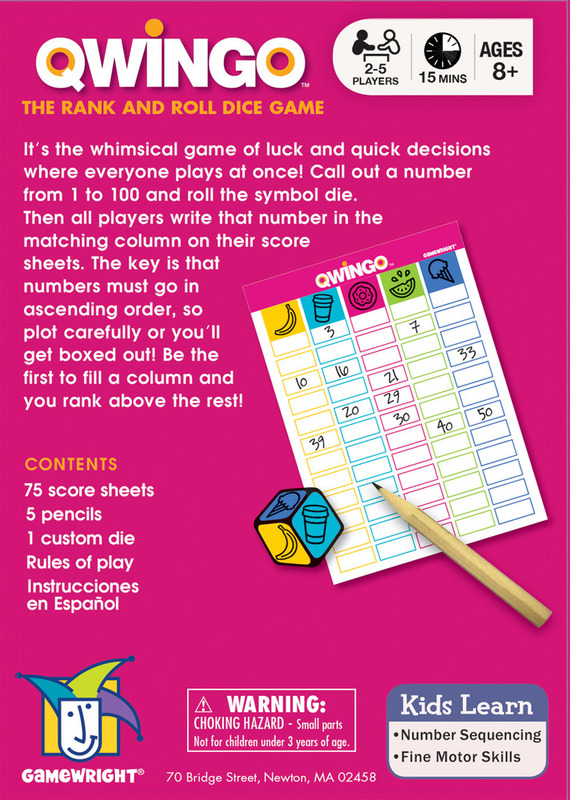 Call out a number from 1 to 100 and roll the symbol die. Then all players write that number in the matching column on their score sheets. The key is that numbers must be placed in ascending order, so plot carefully or you’ll get boxed out! Be the first to complete a column and you rank above the rest! It’s amazing how much fun can be had with just a few components. 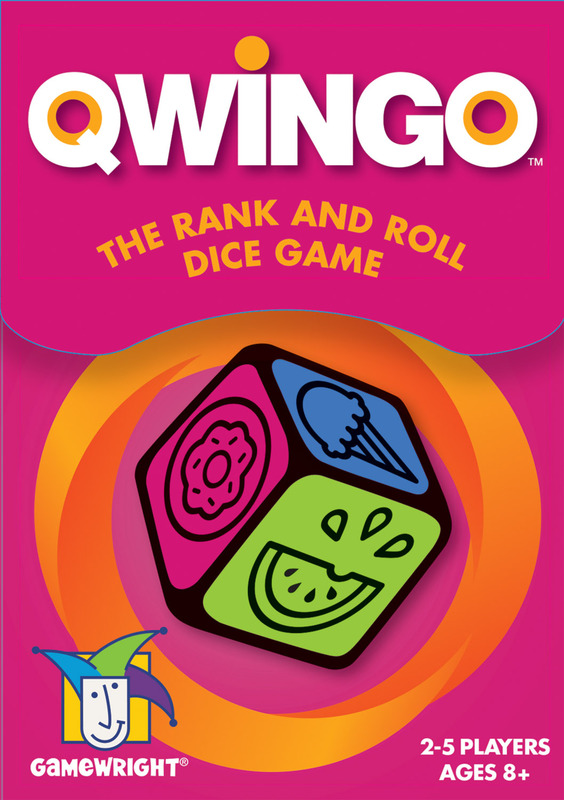 Such is the case with this simple to grasp, yet instantly engaging dice game from renowned designer, Heinz Meister. The thing that makes Qwingo stand apart from the crowd is the element of anticipation. 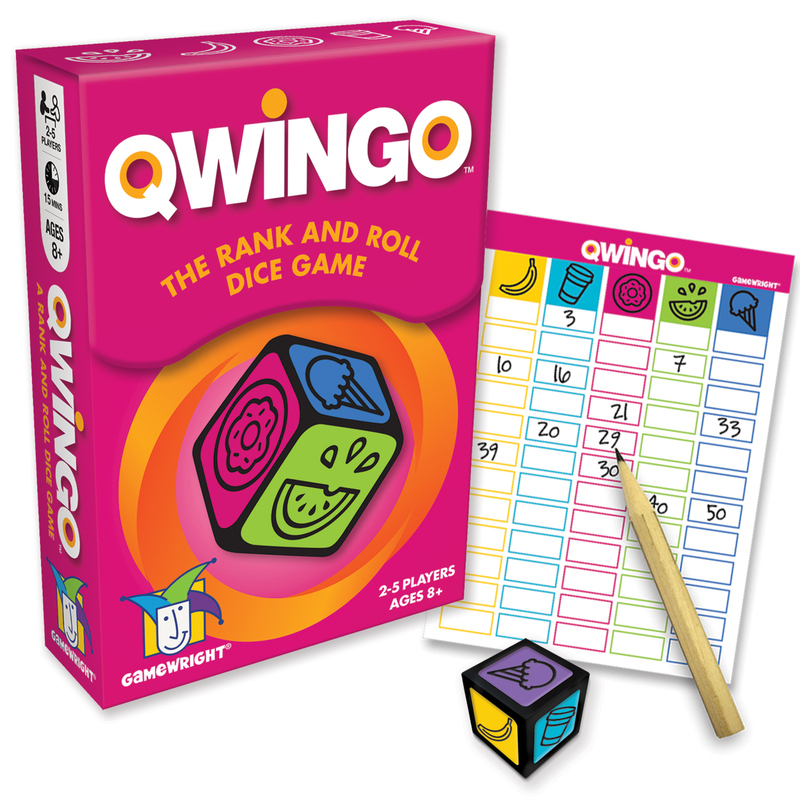 From waiting for your next turn, to picking the right numbers, to hoping those numbers will line up with the icons you need, you’ll find a surprising amount of suspense as you play. While the outcomes may not always match your expectation, we anticipate that you’ll want to play again! Order replacement pads.